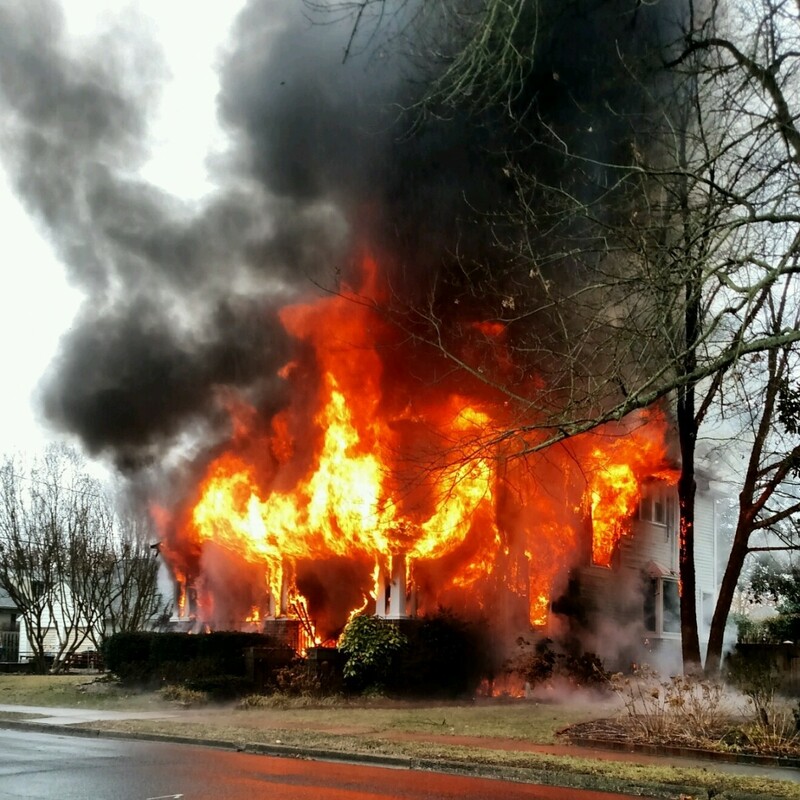 On Sunday, February 04, 2018 at 1231hrs, Talbot Center struck box 6-1, alerting the Easton Volunteers (Station 60), Oxford Volunteer Fire Company (Station 20) and Talbot County Paramedics, for a working house fire, at 204 Earle Avenue. Paramedic 90 had just cleared Easton Memorial Hospital and was on location within 1 minute, advising of heavy fire showing. Moments later, Chief 61 (601 – Chief Harrison) arrived on location established command and immediately requested a 2nd alarm, bringing Trappe Volunteer Fire Company (Station 30), St. Michaels Volunteer Fire Department (Station 40) and Cordova Volunteer Firemens Association (Station 50) to the scene. Engine 64 arrived on location and made the initial attach as Aerial Tower 61 set up, both on the Alpha Side and secured water from the hydrant at Hanson St & Earle Avenue. Engine 68 secured water from the hydrant at Aurora St & Needwood Avenue. Operations were transferred to 602 (Asst. Chief – D. Jensen). Engine 68 supplied Truck 40 which set up in an alley on the Bravo Side of the structure. Crews performed a primary search of the structure as interior attack was performed. Due to fire load and deterioration conditions, the incident Safety Officer (611 – Caldwell) called for EVAC tones, removing all interior firefighters, moving to a defensive exterior attack until the situation would allow for safer interior operations. The house was unoccupied at the time of the fire, however a family pet perished in the incident. The situation was placed under control around 1530 and the scene was turned over to the Maryland State Fire Marshall’s office for investigation. Thanks to Queen Anne – Hillsboro (Station 80), to transferred to our Station and covered 2 calls in the Easton area while the Easton Volunteers operated on this scene. Units Responding: Chief 61, Engine 64, Engine 68, Tower 61, Engine 63, Rescue 61, Engine 67, Engine 28, Paramedic 60, Rescue 32, Truck 40, Engine 48, Engine 49, Engine 54, Utility 57, Paramedic 90, Easton Police, Easton Utilities, Maryland State Fire Marshall. If you have any pictures of the fire scene, please share them with us. They can be PM’ed to our Facebook Page, e-mailed to eastonvfd@gmail.com or text to 410-924-7197.